Google Speed update – Will It Affect Your Ranking? Author DineroPosted on February 23, 2018 February 23, 2018 Categories Digital Marketing, SEOLeave a comment on Google Speed update – Will It Affect Your Ranking? Google comes up with a new update every now and then. Some of these give minor heart attacks to the SEO teams around the globe. One of the most recent update from Google is its new Speed Update. Now many might be wondering, what is so new about it? Speed was indeed a matter for ranking for quite long isn’t it?? If this is your question, yes from that angle of thought it is right. From 2010 onwards Speed is indeed a deciding fact. But in between, did you forget about the mobile first strategy. If not, here is the clear explanation for your questions. With this new speed update, Google is targeting the mobile search speed. The mobile search speed is changing to be a determining factor in your SEO ranking from July2018. Google has come up with a consoling line, “The update will only affect pages that deliver the slowest experience to users” which according to them will only affect a small percentage of queries. But this is again leading to quite many questions. One, what number defines the “small percentage”. The slow speed standards are also undefined presently. Only point to be deciphered is that, Google will downgrade really slow pages, but there are no benefits for being the fastest. Many analysts’ claims that it is quite clear from the statements that, this is not a major update and hence won’t affect your rankings, unless your website doesn’t load at all. Which is indeed hopeful, but again the question rises, why Google did then gave this update 6 months prior to its scheduled implementation. This seems to be a clear warning signal. When the ambiguity on this latest updates is steaming, there are a few safety measures you can start today, to stay unaffected in any worst case. If you are wondering how, Google is still here to help. There are indeed many application and tools available in the web which can help your learn on the performance of your pages. They can also suggest you where to improve and how. Their own tool “TestMySite” is a wonderful option to choose. There are several free tools available, which help you compare with your competitors and recognize if your ranking are vulnerable. Bring the changes that keep you confident. 6 months is ample time! Catch up with new strategies and make your SEO stronger than before especially in mobile search. 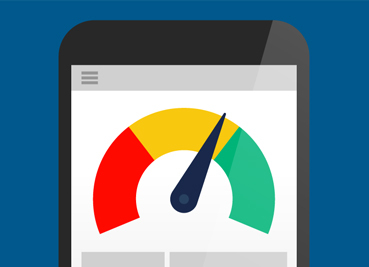 AMP or Accelerated Mobile Page is a great deal, as they offer a faster load time. Also there are tools and reports to diagnose your website with using Search Console, LightHouse Tool and of course the PageInsight reports. So set your gears ready and prepare yourself for that fine morning of July 2018. Each day the internet comes up with new changes and it is quite sure necessary that you remain updated to stand through the tide. A timely revamp of your website is hence the key in keeping your business live. But revamping a website is much similar to moving your office space to a new destination. You should ensure that all your client backups follow you to the new place. When it comes to website, your goodwill, reputation and reachability by far depends on your search engine ranks. Yes it’s the keyword! The best idea to not lose your SEO rankings is to keep the back up of all information you have in the existing website. Keep track of the game changing factors of your present strategies. It may include keywords, the pages that rank the best, and the pages that bring in most traffic, the organic search stimulators and so on. This will help in building the platform stronger within the new design. 301 redirects is your saviour in revamping a website. This is mandatory while linking the old website to new one. Ensure that every URL remains in position and are not broken, unless it is for some good. Each page of the old website should be redirected to its new counterpart. This will keep you safe, in the crawling. This is a great strategy in keeping off from losing your backlinks which helped you reach the position you enjoy today. Try changing the backlinks with new website links wherever possible. SEO is not only about bringing traffic to your website, but converting that traffic into potential customers. This is one major reason that UX experience has a gained a heavy weightage in any activities associated to digital marketing. Similarity with the website features is a comfort zone for regular visitors. Make sure they don’t lose that comfort zone with your new design. This can affect your SEO efforts adversely. Keeping all these factors, you can preserve your SEO and come with a fresh look and feel. But this is the time; you should be very vigilant about your moves. Keep an eye on your bounce rates. If that is higher than your common track, there is something, which your clients are not feeling comfortable in your new design. Monitor each little change as if you are beginning with a fresh SEO project. Shifting to a new design and the changes are a bit hectic. But these tips can help you make the process easier. The key note, plan well, execute well and monitor well and its sure you will continue to perform well! !